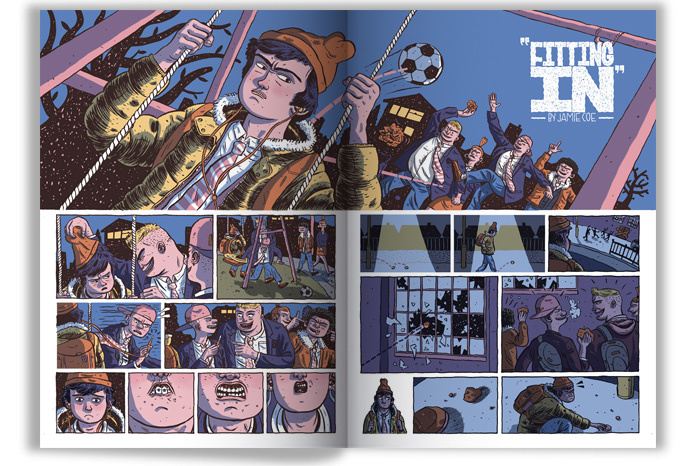 Please note: this is a double flip-cover issue you will not be receiving two magazines! 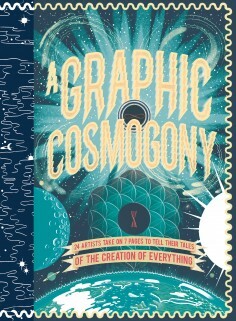 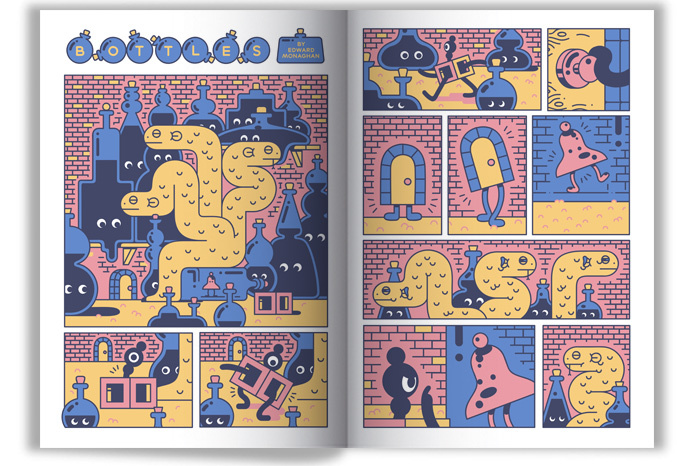 The next issue of Nobrow Magazine is out this April (UK) and to celebrate we’re releasing the book on pre-order with a special give-away. 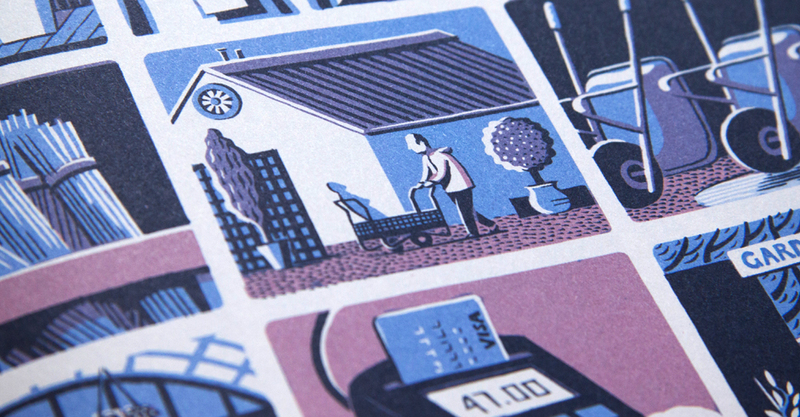 Guest cover artist, Ben Newman, has designed 4 screen-prints, each with a limited print run of 50, giving 200 lucky folk the chance to get one of four freebies. 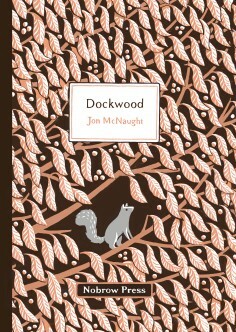 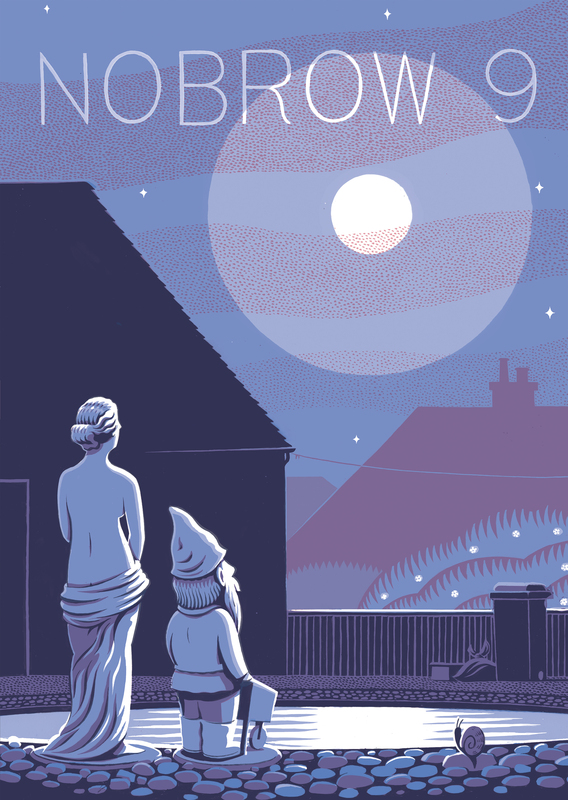 Not only that, the first 50 early birds will get a double whammy with screen-print plus signed copy by Ben and the second cover artist, Jon McNaught. 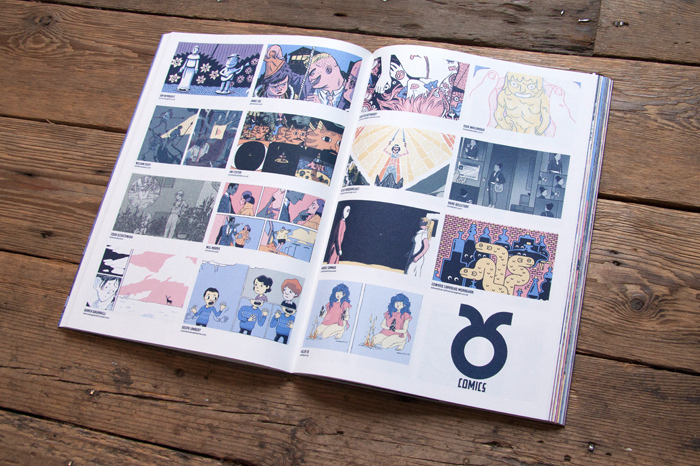 As with every year, we have given over 45 artists a theme and four way colour palette to unleash their creative wizardry. 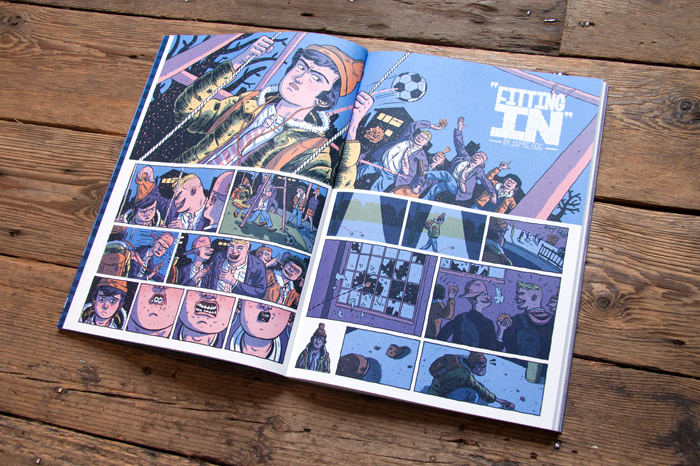 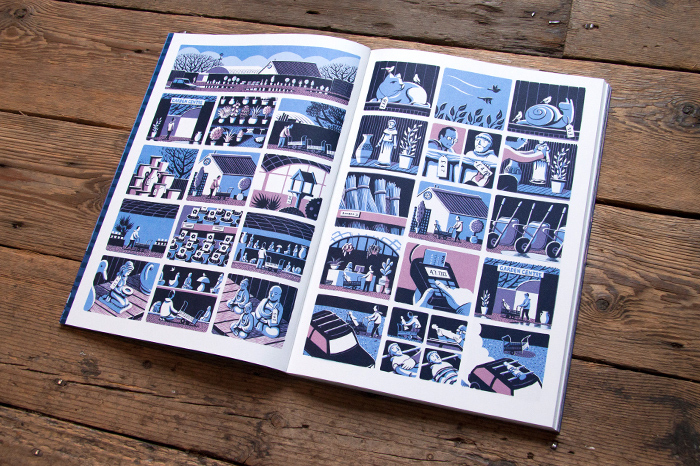 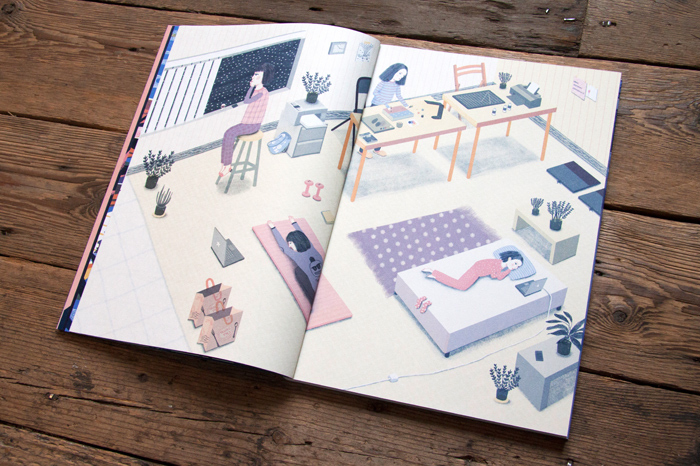 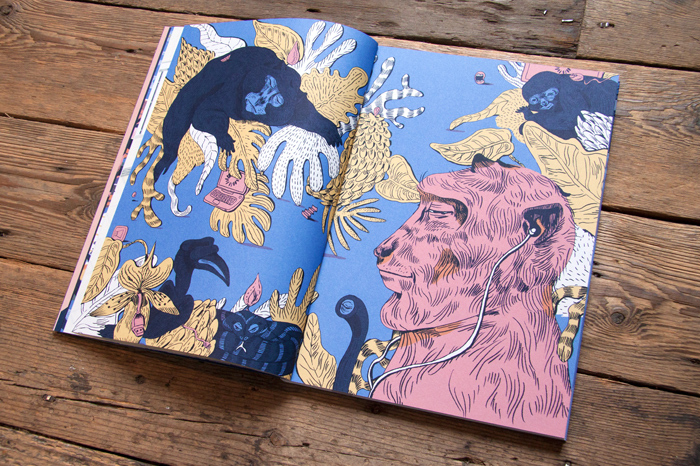 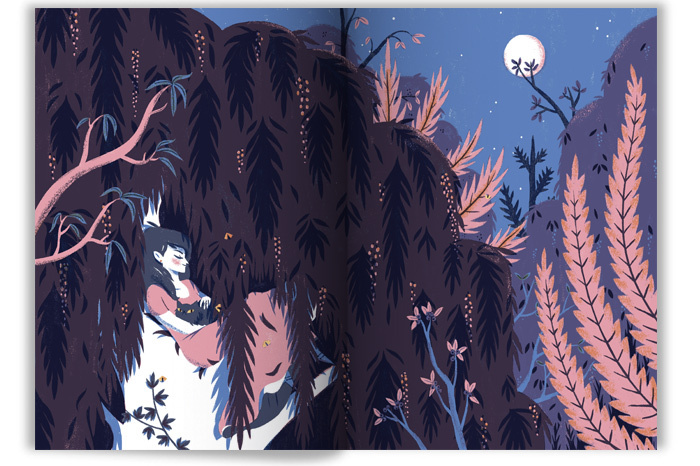 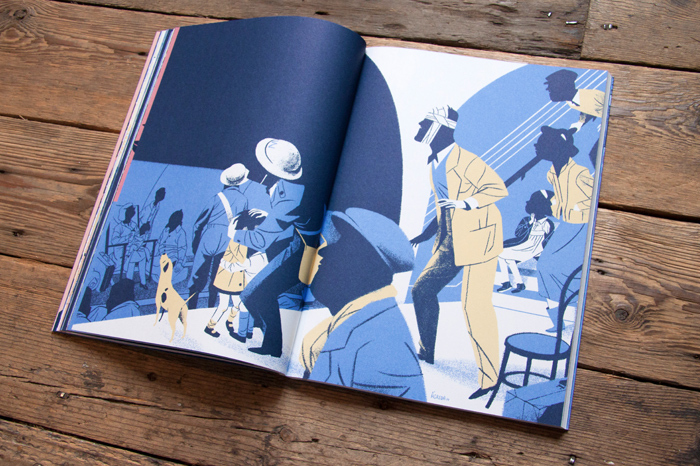 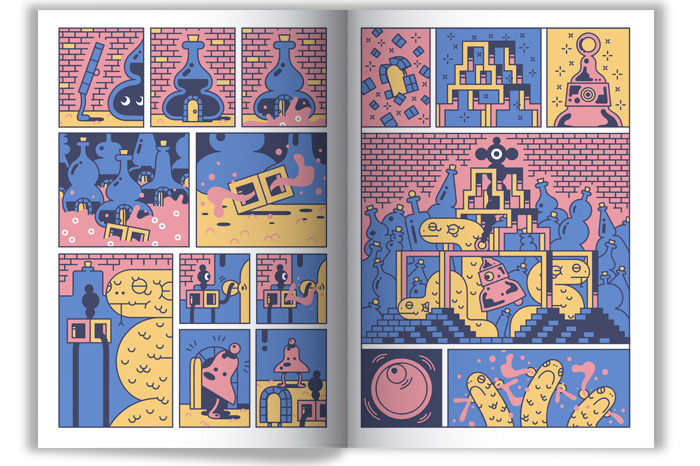 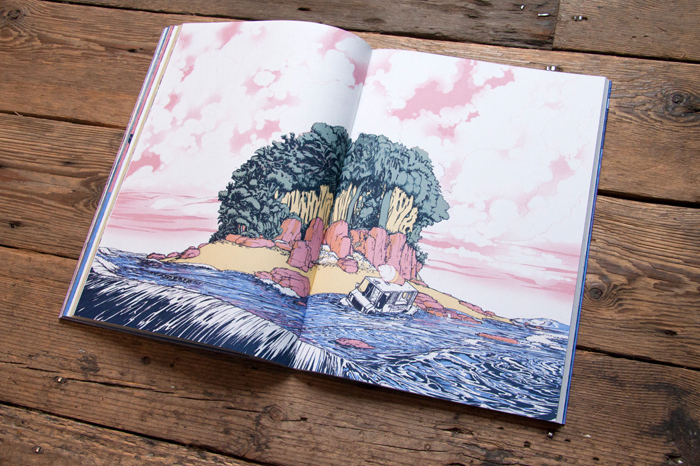 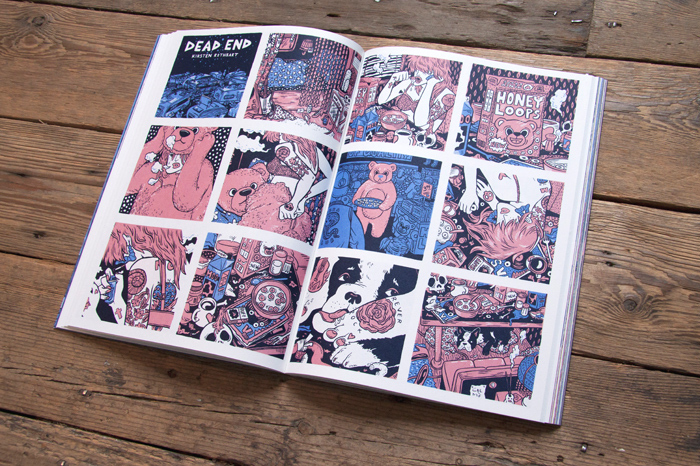 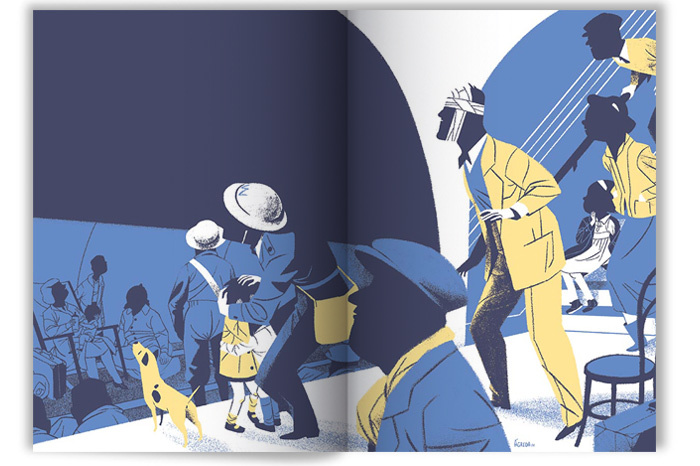 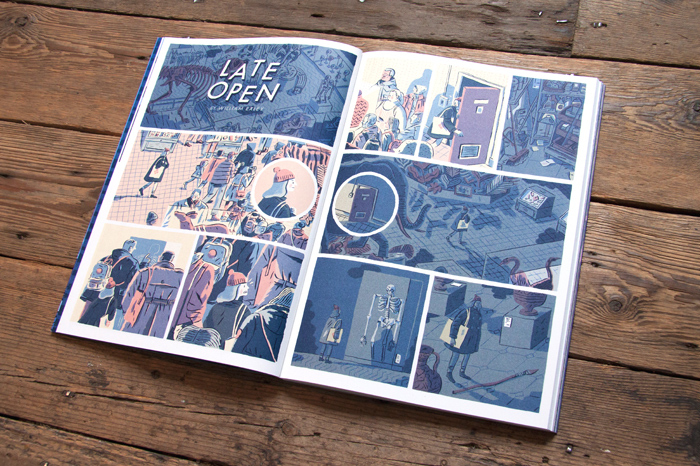 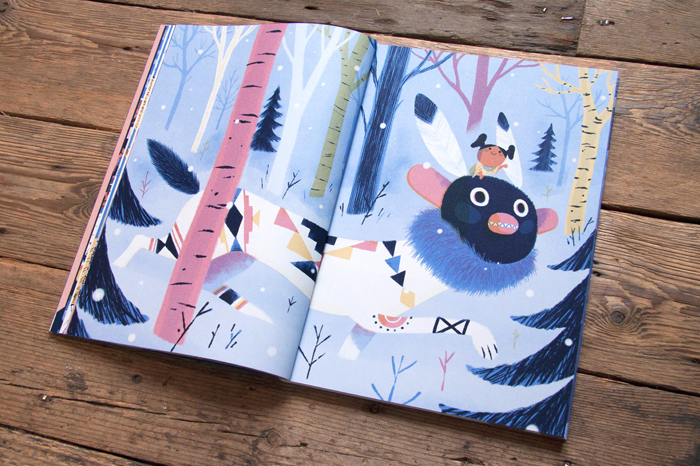 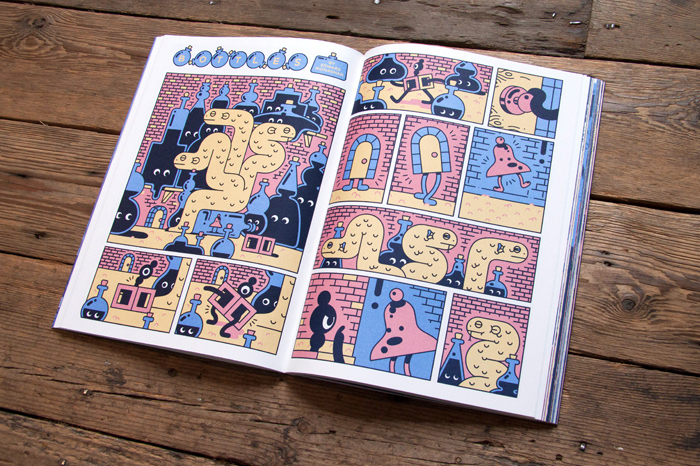 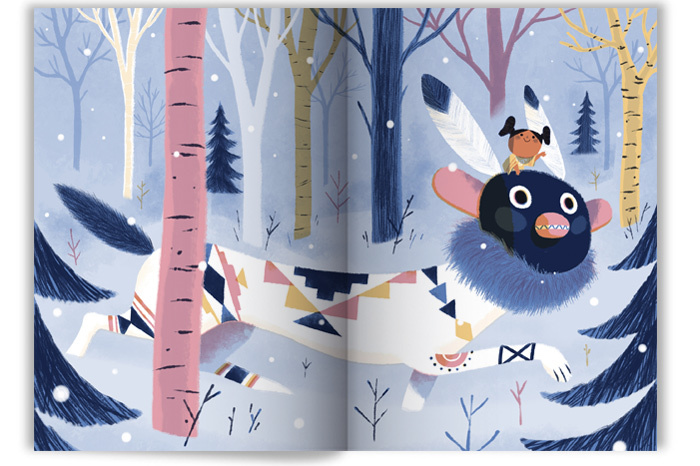 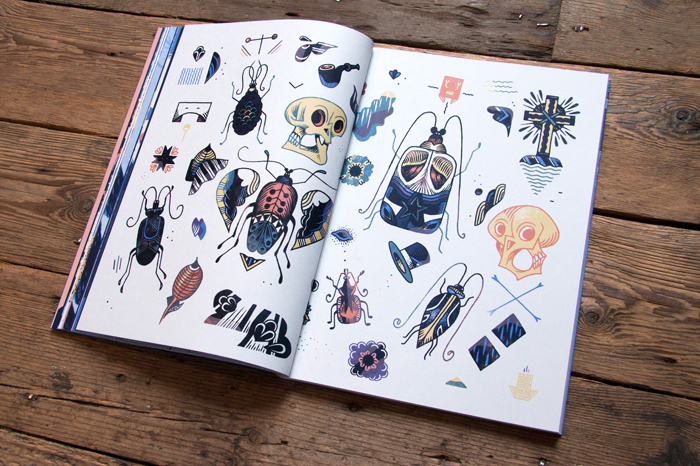 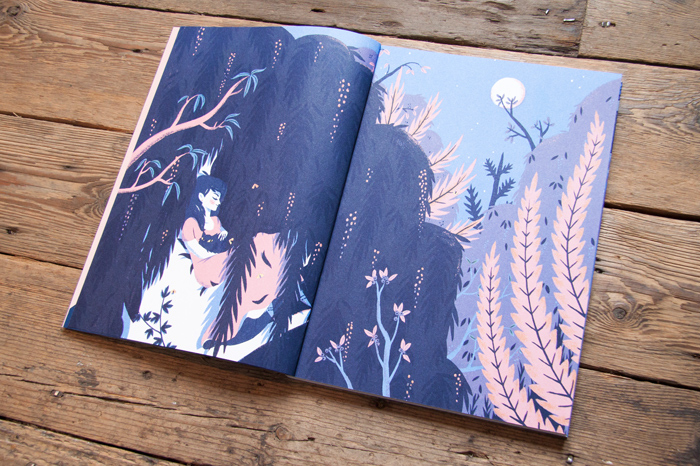 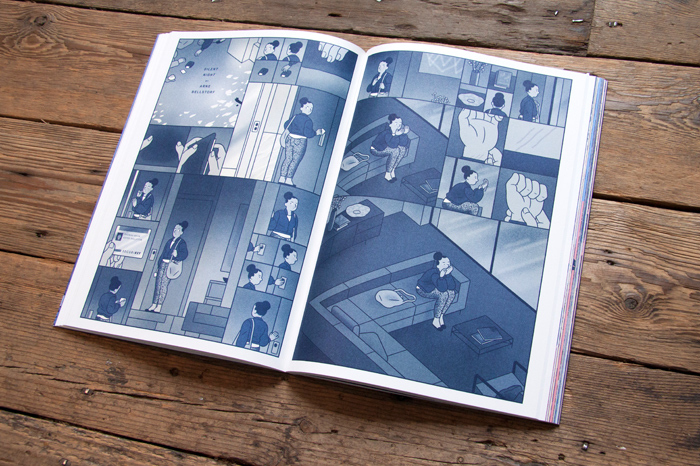 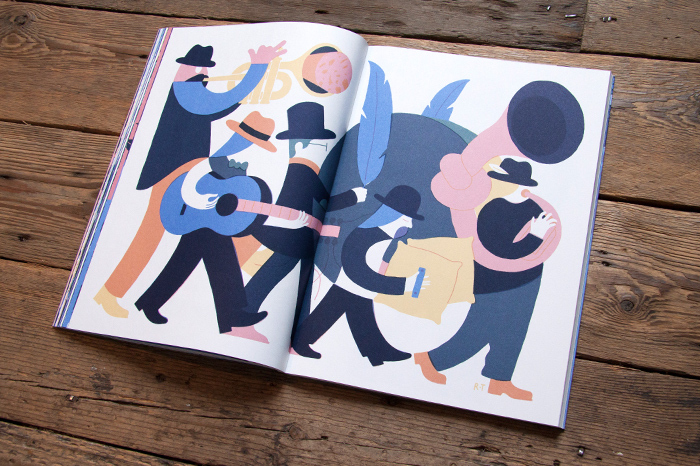 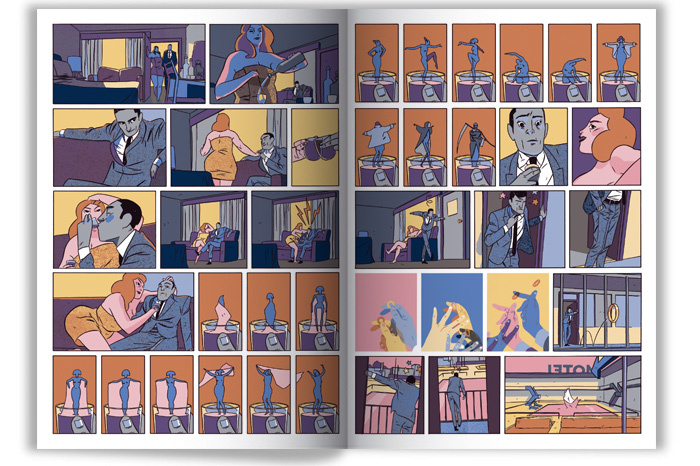 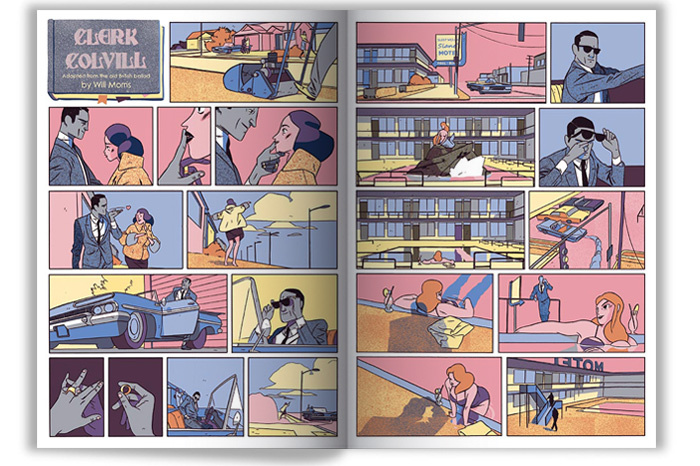 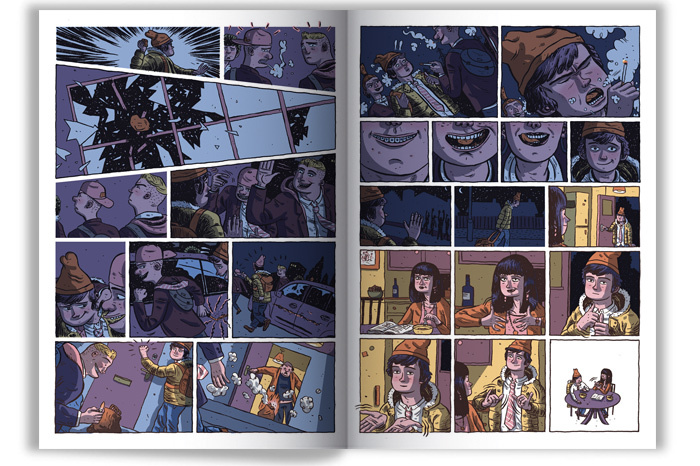 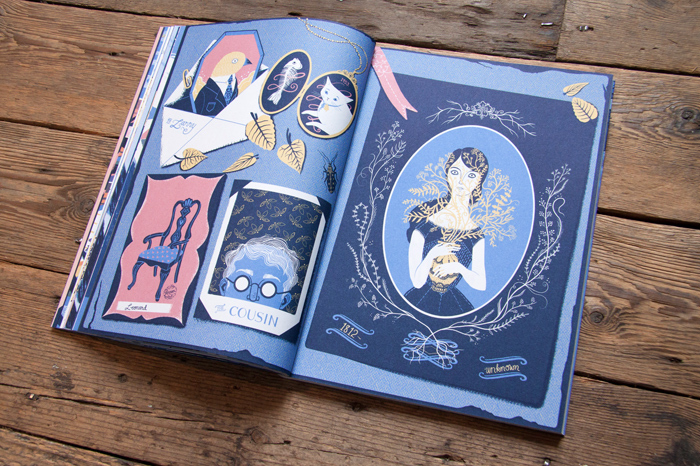 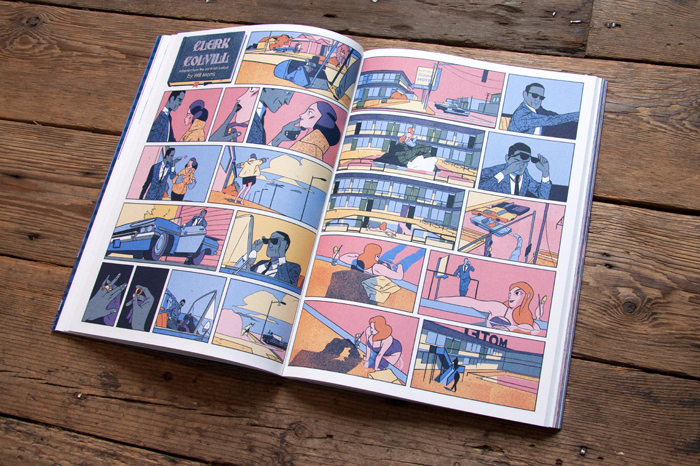 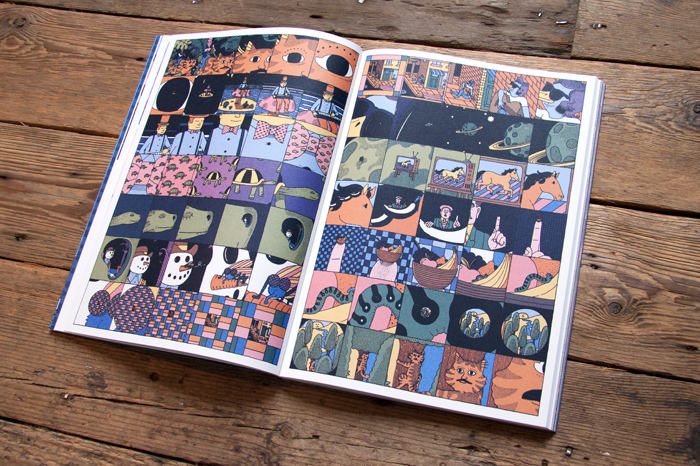 This year’s Nobrow magazine, Nobrow 9: It’s Oh So Quiet, deals with the concept of silence. 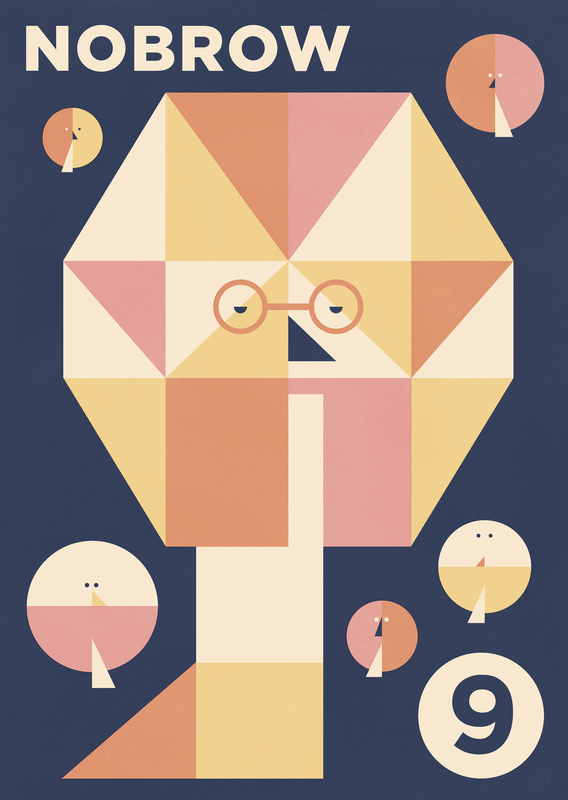 How is silence expressed? 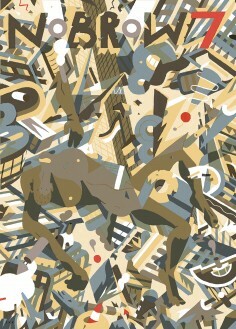 Can it be visual? 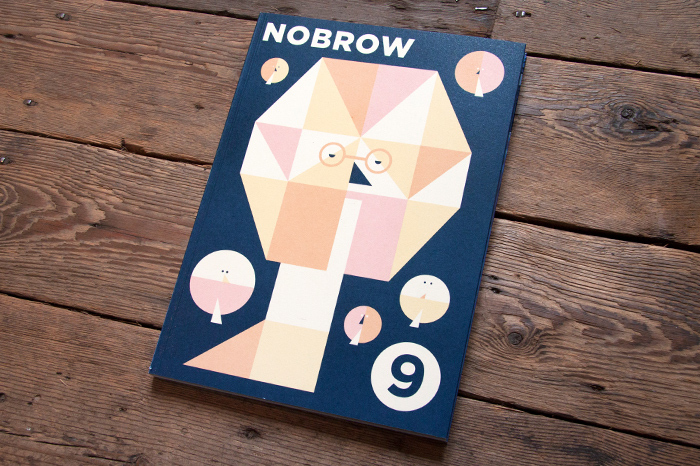 Just like the previous 3 Nobrow magazines, Nobrow 9 is in actual fact two magazines rolled into one and sealed with a double cover. 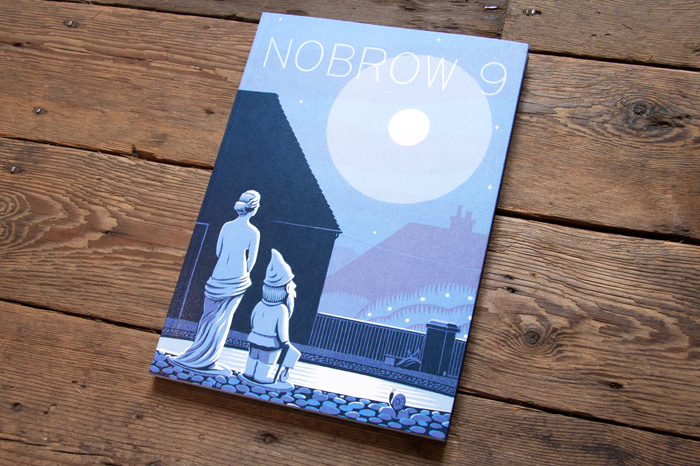 With Nobrow 9, we are continuing to publish the very best of illustration and narrative art from newcomers and veterans in the UK and around the world. 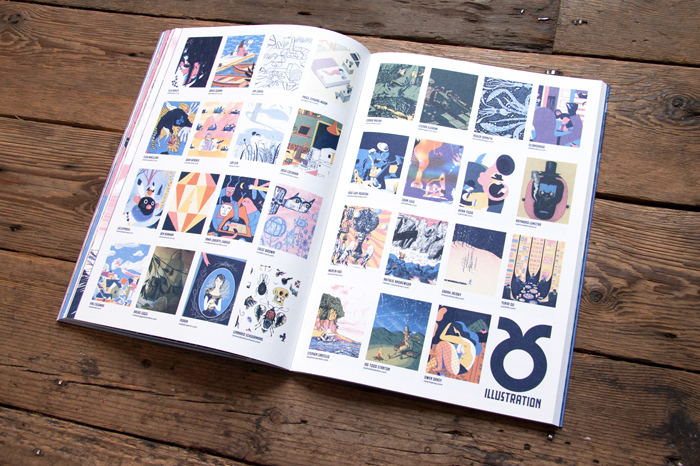 With a limited, one-time print run the magazines have become something of a collector’s item so get your hands on the latest and start your collection now.